Ritch Workman, a former state house representative, resigned moments after Sen. Lizbeth Benacquisto said that he touched her inappropriately and made inappropriate comments in 2016. Ritch Workman shakes Gov. Rick Scott's hand in 2014. Scott later appointed Workman to the Public Service Commission. Gov. Rick Scott's appointee to the powerful board that regulates Florida utilities resigned Monday after a state senator said he made "vulgar and inappropriate gestures" to her last year. Former Rep. Ritch Workman of Melbourne will not serve on the Public Service Commission as a result. Scott appointed Workman on Sept. 15. He would have taken office Jan. 2 at an annual salary of $131,036. The PSC considers all rate requests by electric and gas utilities in Florida. 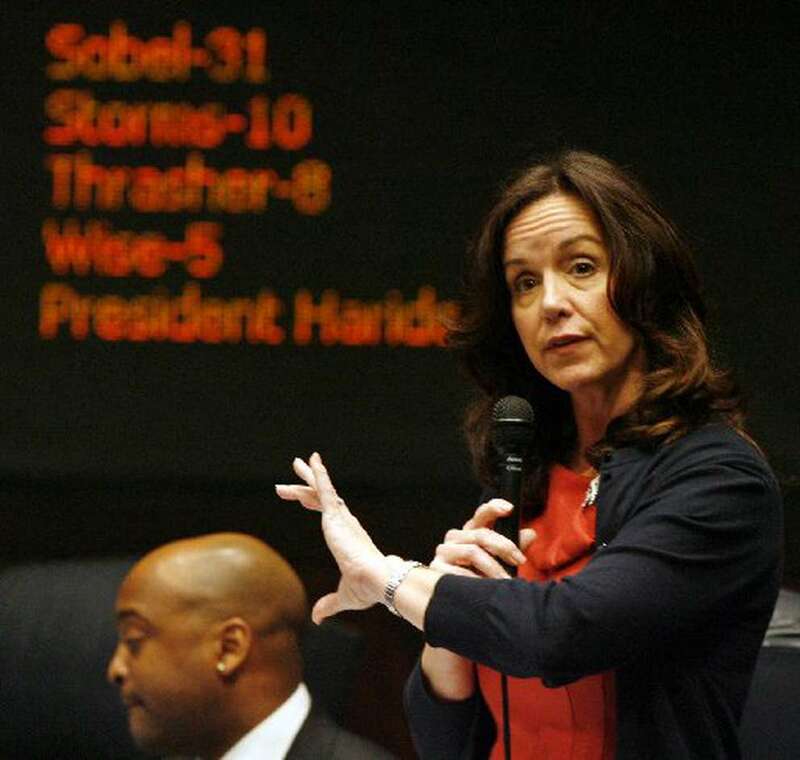 In the latest sexual harassment revelation to rock Florida's capital, Workman's resignation on Monday came minutes after Sen. Lizbeth Benacquisto, a Fort Myers Republican, issued a statement in which she said he repeatedly made "vulgar and inappropriate" gestures toward her at a public event, even after she asked him to stop. Sen. Lizbeth Benacquisto, R-Fort Meyers. In her statement, Benacquisto said: "At a public charity event in 2016, former Rep. Ritch Workman approached me from behind, pushed his body up against me and made vulgar and inappropriate gestures. I immediately asked him to stop. He continued to make vulgar and inappropriate comments and gestures until other attendees intervened. I found his conduct to be abhorrent. As such, I will not agenda his appointment to the Public Service Commission for a hearing in the Senate Committee on Rules." Benacquisto chairs the Senate Rules Committee, which was required to confirm Workman's appointment in order for him to serve a full four-year term on the five-member PSC. Senate President Joe Negron, R-Stuart, also issued a statement that said: "The incident that Sen. Benacquisto described is horrendous. 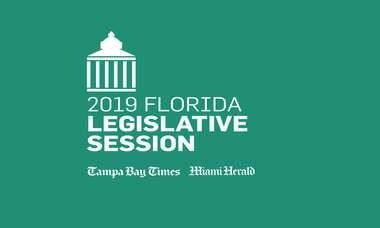 I support Sen. Benacquisto's decision not to agenda Rep. Workman's appointment in the Committee on Rules and accordingly Rep. Workman's appointment to the Public Service Commission will not be confirmed by the Florida Senate." Workman's resignation was first reported by Politico Florida. He did not respond to a request for comment from the Times/Herald. An emotional Workman told The News Service of Florida he did not recall the incident, but said "the right thing to do is to get out of the way." "I have absolutely no recollection of being inappropriate with Sen. Benacquisto. I have nothing but respect and admiration for her. It breaks my heart that this has come out like this, because it's not the kind of person that I am," Workman said. "The best thing for me to do is apologize," Workman added. "I sincerely apologize to Lizbeth Benacquisto for having in any way offended her. I apologize for letting the governor down and I hope that by me just getting out of the way the distraction to the Legislature will be a minimum." Workman's resignation comes as the Capitol remains transfixed by sexual harassment allegations against Sen. Jack Latvala, R-Clearwater, by a Senate aide. A retired judge, acting as a special master, has taken extensive testimony from a number of witnesses and is expected to issue a report that will be considered by the Rules Committee, chaired by Benacquisto. A spokeswoman for Scott said he approved of Workman's decision to step down. "The governor has consistently said that any misconduct cannot be tolerated. He supports his decision to resign," said spokeswoman Lauren Schenone. Workman, 44, director of business development at Keiser University and a mortgage broker with no expertise in utility issues, served as a Republican member of the Florida House from 2008 to 2016. 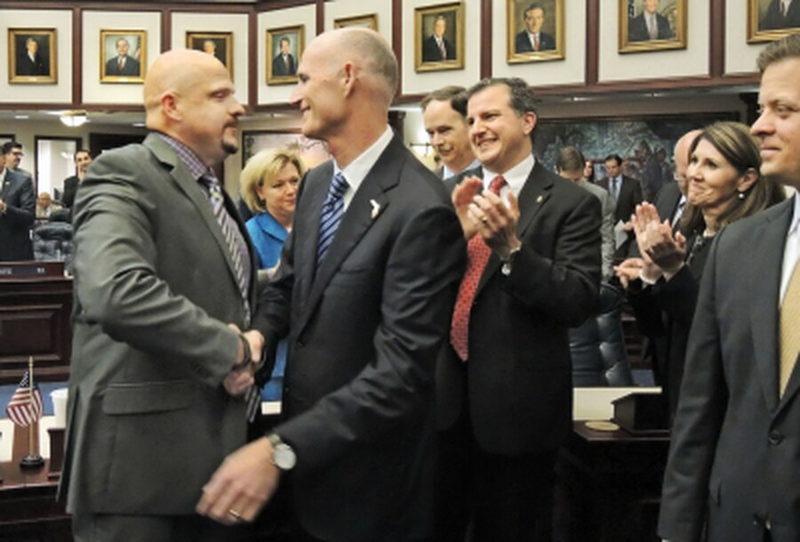 As a legislator, Workman sought to repeal a ban on "dwarf tossing," and he twice led efforts to overhaul Florida's alimony laws. Scott vetoed the alimony bill both times. He ran unsuccessfully in 2016 for a state Senate seat in Brevard County in a bruising, bitter race won by Republican Debbie Mayfield of Melbourne. Scott appointed Workman on Sept. 15 to replace Ronald Brise, a former Democratic legislator from Miami who was seeking a third term. Among the other candidates who were recommended to Scott but rejected in favor of Workman were former Rep. Rich Glorioso of Plant City; former Mayor William Konrad of Newberry; and Erik Sayler, a former senior PSC attorney who now works for the Office of Public Counsel, which represents consumers in PSC rate cases. Scott appoints PSC members from a group of finalists recommended to him by a 12-member nominating council. Six of the 12 council members are state legislators. Four of those six are Republicans, and two are Democrats, including Rep. Janet Cruz of Tampa. She did not respond to a request for comment Monday. The nominating council now must reconvene to accept applicants to fill the Workman vacancy. A spokesman for Scott, John Tupps, noted that Workman had been vetted by the nominating council and had passed a background check by the Florida Department of Law Enforcement (FDLE). "Our office relies on this (council) to provide names of qualified applicants which have been vetted and thoroughly reviewed," Tupps said.